Are nettop computers like Novatech's Ion the perfect escape from financial woes, or just another false economy? What, exactly, do you want from a PC? That's a question you need to think about very carefully before buying the Novatech Ion Fusion nettop PC. You can browse the internet, compose emails and edit office documents. Best of all, the Novatech's Atom 330 dual-core CPU copes pretty well with most web-based video streams. 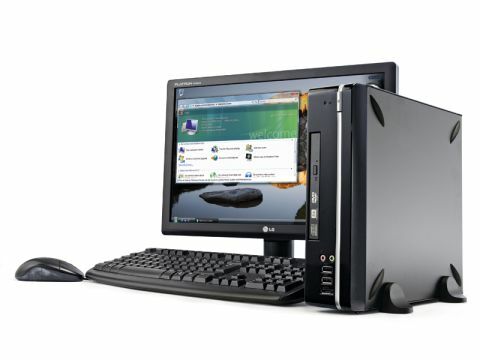 What's more, it's very compact and comes with a wholly adequate 19in widescreen monitor from LG. It's also very power-efficient. And yet the overall experience of this nettop is deeply unsatisfying. There's no getting away from the fact that the system is unresponsive during normal usage. Windows and buttons routinely freeze as it struggles to keep up with the demands of modern web browsing. Used as an occasional machine for web access and firing off emails – the sort of thing you might put on a kitchen countertop – you might just tolerate it. But when a PC with a proper dual-core processor can be had for £50 more, we're not sure why you'd bother.